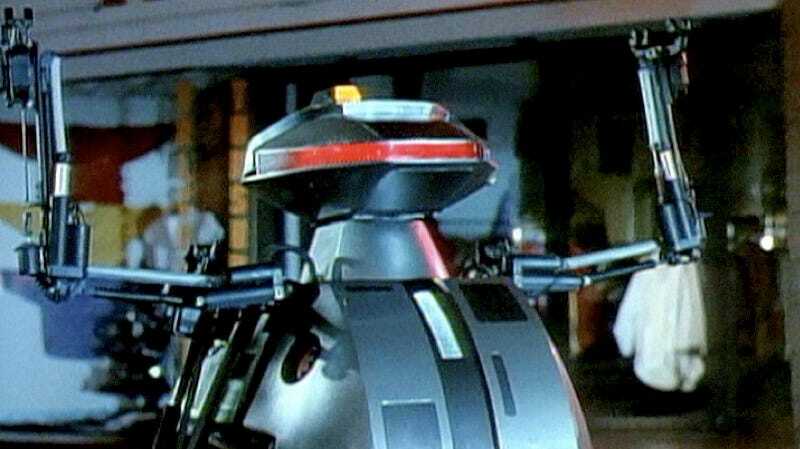 Chopping Mall has earned its cult status for many good reasons. It’s fast-paced, it has a totally 1980s setting, it has one of the best exploding heads in all of horror cinema, and its villains are killer robots. And now, thanks to the Vestron Video Collector’s Series of snazzy Blu-rays, it’s never looked better. The plot is hilariously simple: A group of teens who work together at the mall decide to throw a wild party in the furniture store—y’know, because of all the available beds. But their boozy sexcapades don’t take into account the mall’s brand-new security robots, which turn evil (rather than being merely annoying) due to an ill-timed lightning strike. The Blu-ray features a beautifully restored version of the film, as well as some fun special features. There’s a short documentary that features director Jim Wynorski and several cast members, all of whom have happy memories of making the film back in 1985—and all of whom are rightfully pleased that Chopping Mall has endured and become a horror-comedy classic. There’s also a new feature on the killbots, which were inspired in part by the 1954 scifi film Gog, and created by FX legend Robert Short (who later won an Oscar for his make-up work on Beetlejuice). Elsewhere in the short doc, you learn that Wynorski voiced the robots—which explains why there’s another featurette on the disc, “The Robot Speaks!”, in which the mechanical thespian talks good-natured trash about the director. The Vestron Video Collector’s Series Blu-ray of Chopping Mall comes out tomorrow, September 27.